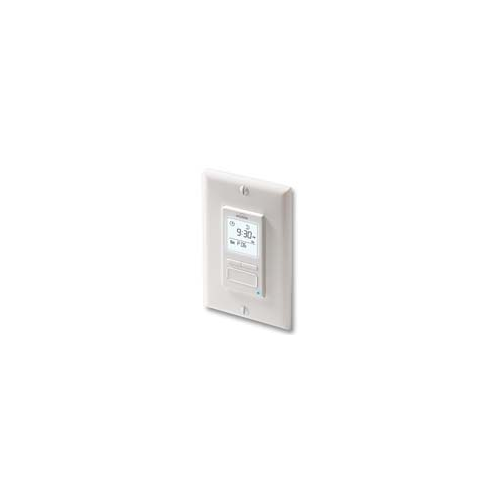 This Aube electronic time switch can be used to schedule incandescent or 120V halogen lighting and does NOT require a neutral wire for connection. 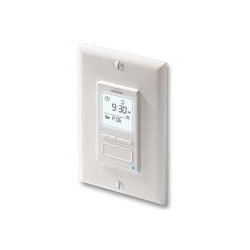 It features programmable on/off times based on fixed times or sunrise/sunset offsets. This timer can be used in single pole or 3 way installations and can operate in manual, automatic and random modes for that lived in look. The display is back-lit and there is an LED indicating load status. ** Note: This timer is only for lighting from 40W to 500W and may NOT be used with compact fluorescent (CFL) bulbs or LED. Incandescent or 120V halogen only.